We're planning a trip to Sodwana Bay this September. 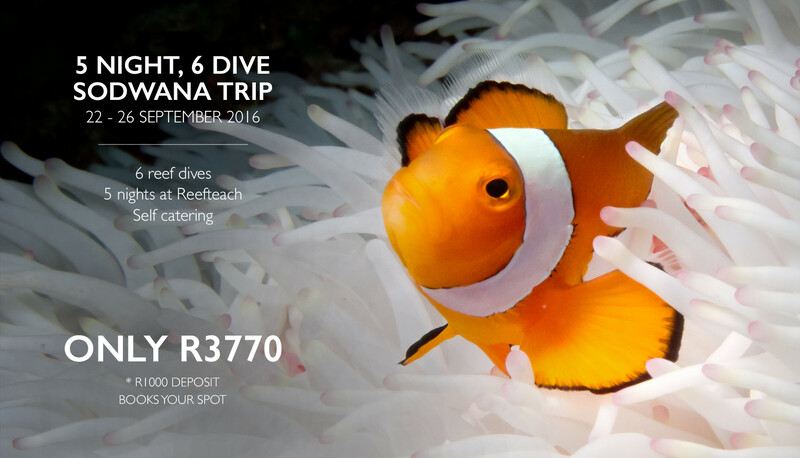 For only R3 770, join us for 5 nights at Reefteach in Sodwana Bay, accompanied by 6 reef dives, from the 22th to the 26th of September 2016 (returning 27 September). An early booking is essential to secure your spot. A deposit of R1000 is required in advance to secure your spot on our Sodwana Bay trip, with the balance being due by the end of August. R1000 deposit is needed per person and the balance the end February.